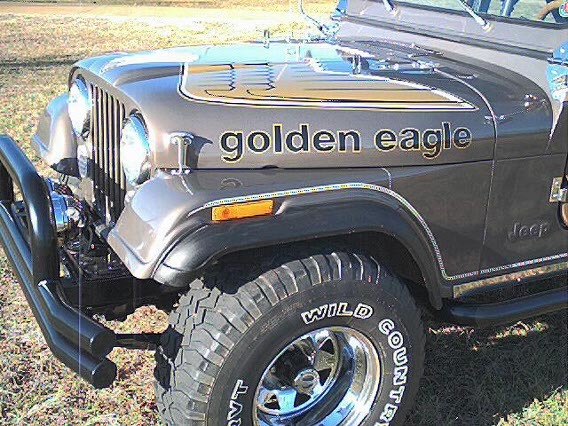 Golden Eagle decal kit comes with bird and two side letter sets,3/8" 3color original body border stripe,and LIMITED EDITION decal. 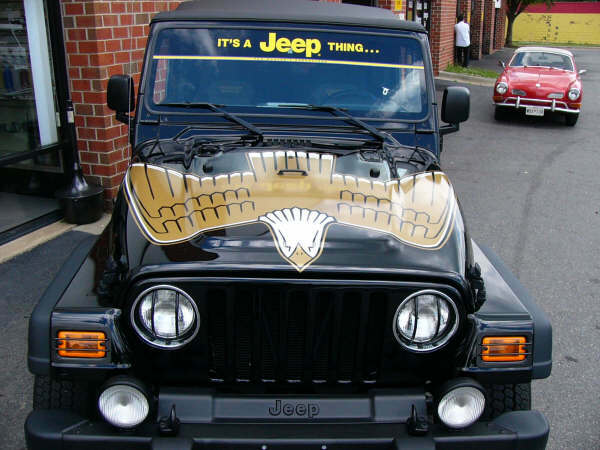 We also carry Limited Edition Genuine GOLDEN EAGLE T-SHIRTS as well as the new GOLDEN EAGLE tire covers (shown below). 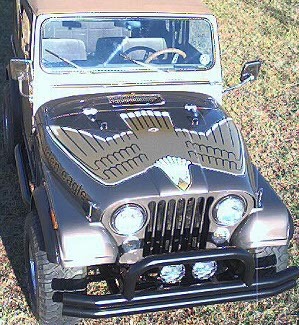 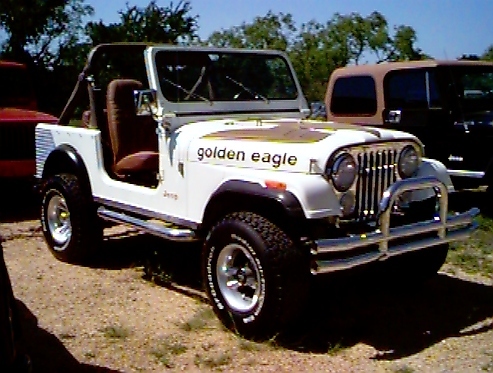 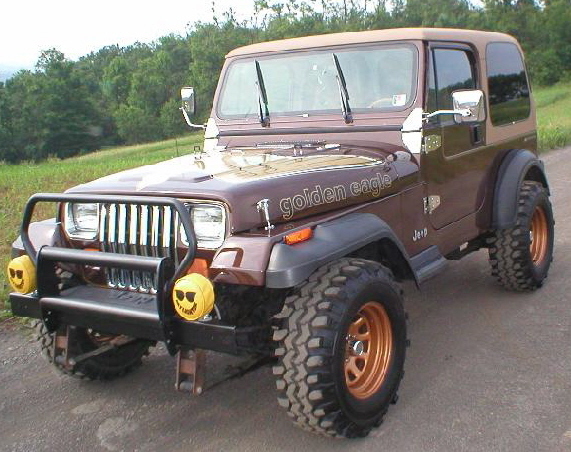 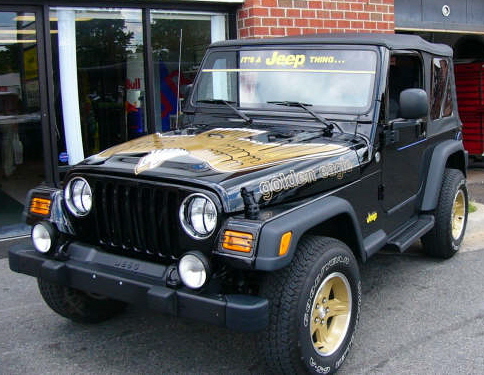 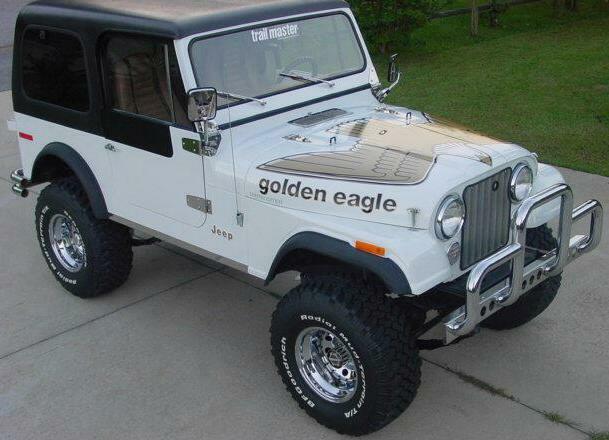 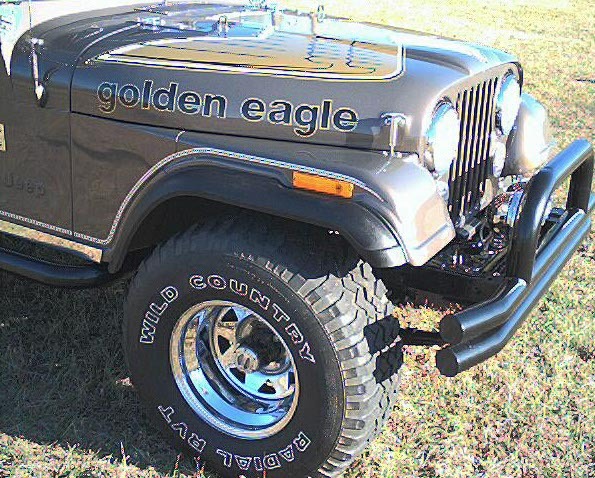 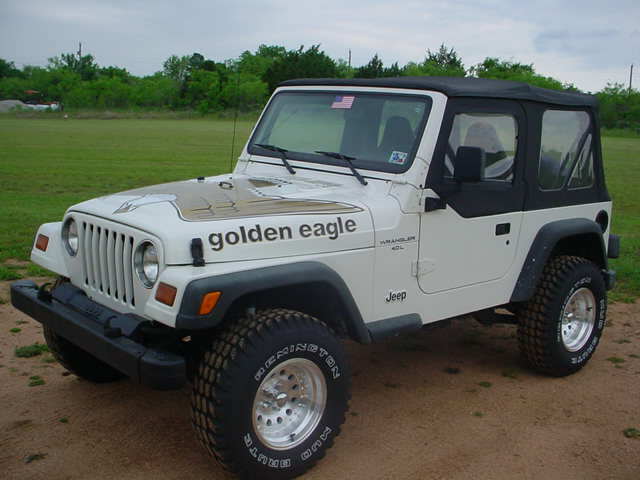 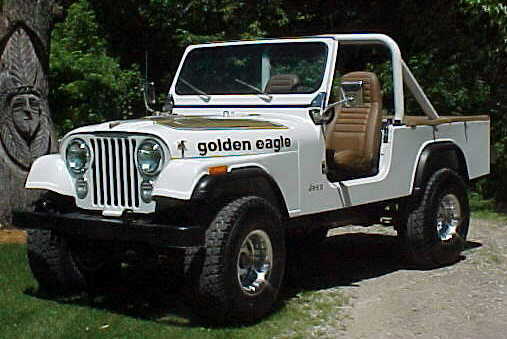 Golden Eeagle decal kit for 97-05 TJ Wranglers only $259!